Are Student Loan Servicers Putting Profits Before Helping Borrowers? Are Student Loan Servicers More Concerned with Profits than Helping Borrowers? Last week’s blog on a lawsuit involving TEACH Grants being turned into federal student loans points to a major problem in the loan servicing industry. According to the lawsuit, the Pennsylvania Higher Education Assistance Agency (PHEAA) converted the grants over minor paperwork errors so they could turn a profit. As it turns out, this kind of behavior may be systemic. A government lawsuit claims Navient, the largest student loan servicer in the country, scammed student loan borrowers out of $4 billion. One of the most serious allegations against Navient is that it pushed borrowers eligible for income-based repayment programs into forbearance to postpone payments. Loans in forbearance accumulate compound interest, which adds to the principal balance of the loans. It is more time-consuming for Navient to enroll borrowers in income-based repayment plans. By pushing borrowers into forbearance, Navient saves on operating costs. This lawsuit has huge implications. Navient is responsible for servicing one in four student loans, totaling almost $300 billion in debts. The attorneys general in Washington and Illinois filed separate lawsuits against Navient right after the CFPB filed its lawsuit. How Can You Avoid Trouble with Student Loan Servicers? It is important to keep records of everything you do when communicating with student loan servicers. Any time they send you a letter, put it away in a file cabinet or somewhere else that is secure. When you send documentation to your servicer, use Certified Mail. Sign up for automatic payments directly through your bank if possible. This makes it much more difficult to miss monthly payments. Student loan servicers allow access through online portals. Check this each month to ensure the correct amount will pull from your bank. Finally, it is important to keep an eye on your credit score. One of the main complaints against Navient is that it wrongly reported people to credit agencies. If your servicer were to do this, you may be able to file a dispute. There is a misconception in our society that people struggling with student loan debt have no options. The truth is, if you are overwhelmed with student loan debt, chances are you have options to lower your monthly payments, reduce the amount owed, or to discharge your debts altogether. Our attorneys can help you review available modifications to your loans, such as lower interest rates. It may be possible to seek a hardship discharge on your student loans. In one case, attorney Neil Sader helped a woman with more than $400,000 in student loans settle her debts for $150,000. The hardest part for many people is making the first call and asking for help. However, many of our perspective clients feel better immediately after talking to one of our attorneys and learning about their options. 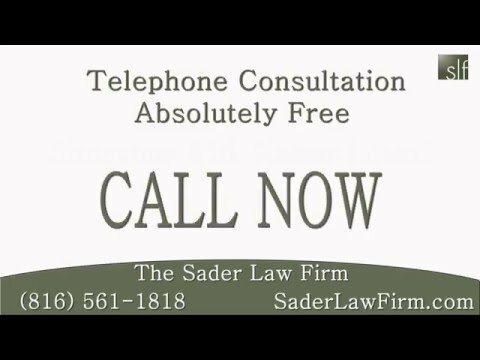 The Kansas City bankruptcy attorneys at The Sader Law Firm can help you discover options for managing your student loan debts. ← How Can Stressing Over Money Problems Harm Your Health?